The late Francesco Scavullo's name is synonymous with the seductive, head to toe all out glamour that was represented by the quintessential Cosmo girl. Over a thirty year period beginning in 1965, Scavullo captured the essence of the Cosmo girl as a sensuous, confident and sexually liberated woman. 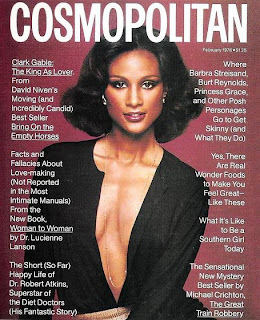 During this period, Scavullo together with his long time companion and stylist Sean M. Byrnes, was responsible for the selection of the model, the cleavage revealing outfits, make up and hairstyles that would eventually appear on the cover. 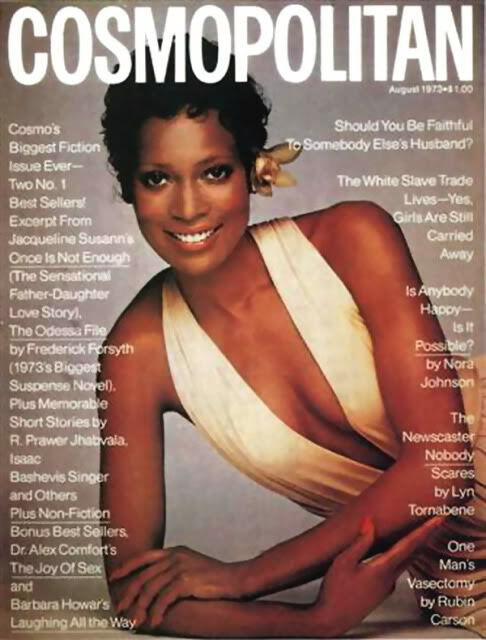 Every model wanted to be a Cosmo girl and the Cosmopolitan cover was accompanied by a model profile and interview which provided an insight into the personality and life of the cover model. Scavullo's stable of beauties included Lauren Hutton, Naomi Sims, Brooke Shields, Gia Carangi, Janice Dickinson and Christie Brinkley. I have many Cosmopolitan covers in my collection and the following selection is a chronicle of some of the most influential models of our time. Hi Sam, thank you for the positive feedback. Glad you are enjoying Inoubliable Model Army. Keep up the great work on your blog as well! Cheers, Neill. This blog is marvelous!!! I am hooked and I only found it tonight!LOL!